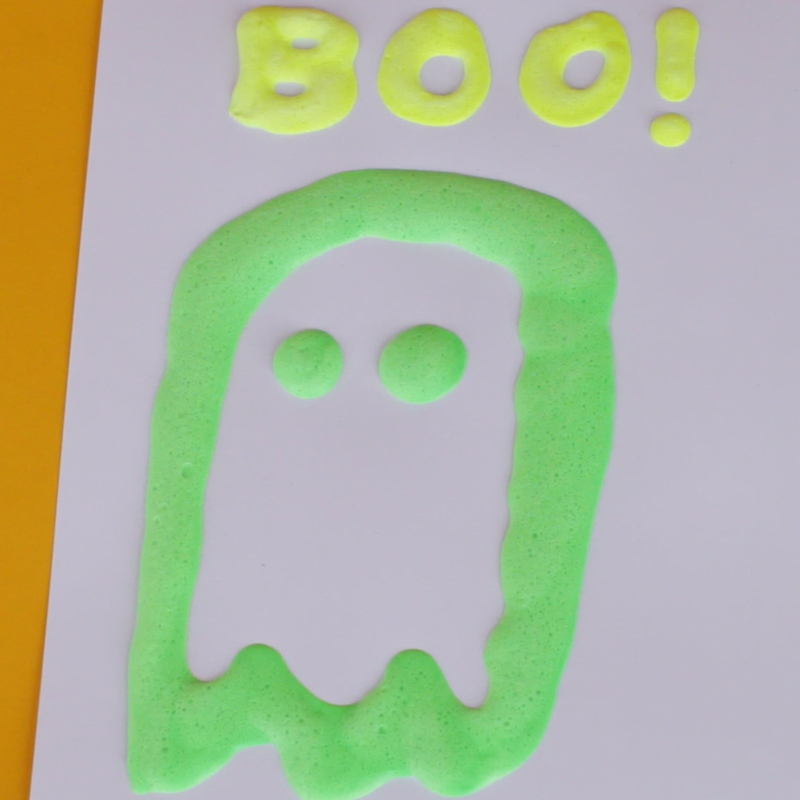 Glow-tastic fun for Halloween and the rest of the year! Are you obsessed with Halloween, and want to get your kids in on the fun? Have you carved your jack-o'-lanterns and picked out your costumes, and now you're looking for more ~Halloween~ stuff to do? Get the whole family together, spread some newspaper to protect the table, and try these fun glow-in-the-dark DIYs! 1. Paint glowing 3D pictures (no glasses required!) with shaving cream paint. 1. 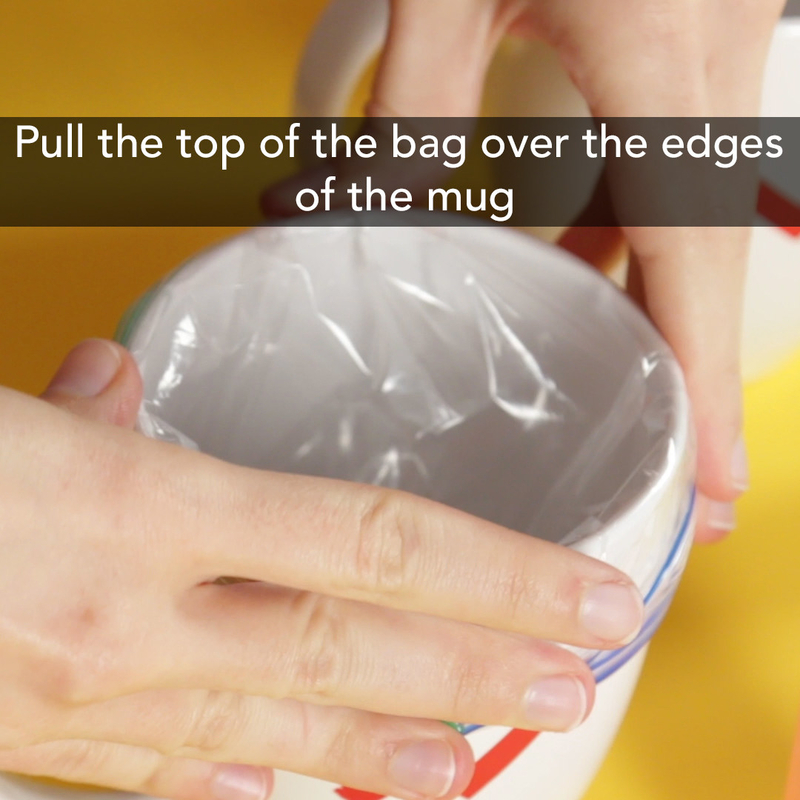 Fit one ziplock bags into a mug, pulling the top of the bag over the top of the mug so it's secure. Have one bag+mug for each color you want to make. 2. Eyeball the glue so it's filled up the cup almost halfway. 3. Add 1 tbsp of neon paint to each mug, making each mug a different color. Then add 1 tbsp glow paint to each mug. Mix well, using a different spoon for each color. 4. Now, fill the rest of each mug up with shaving cream, and mix well again. 5. Seal each bag. Then, cut a tiny piece off of one corner of each bag. This is where the paint will come out. 6. 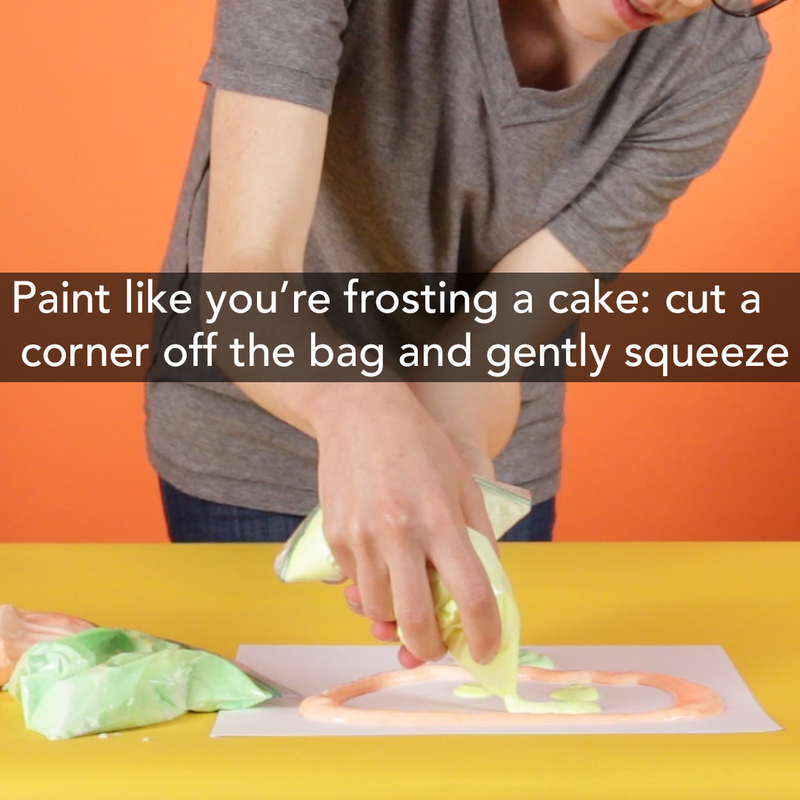 Paint like you're decorating a cake! Gently squeeze, so the paint comes out the open corner. 7. Let your pictures dry, charge them in the sunlight, and watch them glow at night! *We recommend white glue throughout because it's reflective, so it can make glow-in-the-dark paint look brighter. 2. 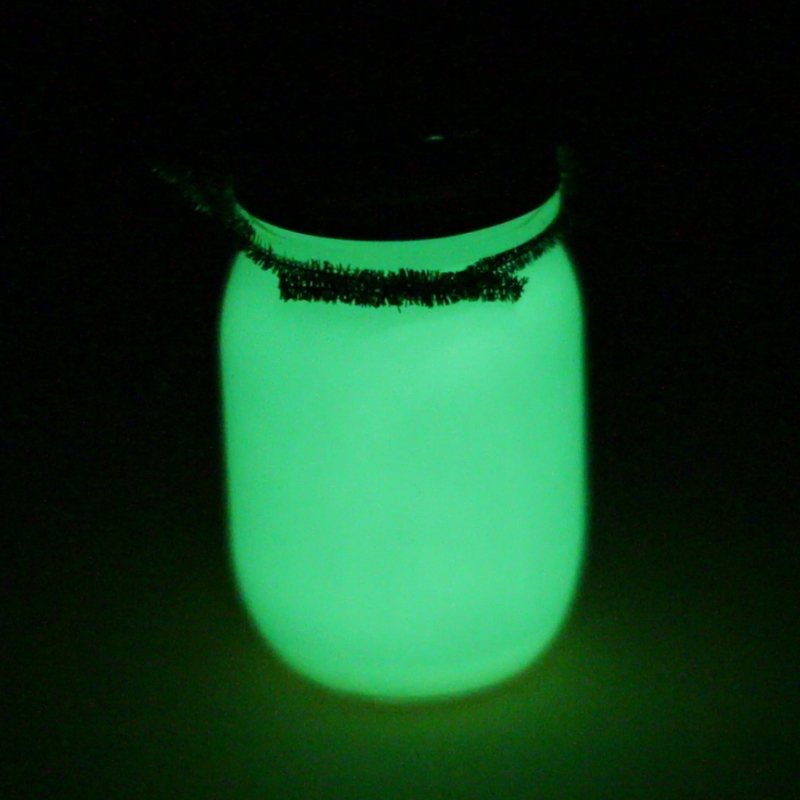 Line a mason jar with glowing paint and you have a ready-made little lantern to guide you in the dark. 1. 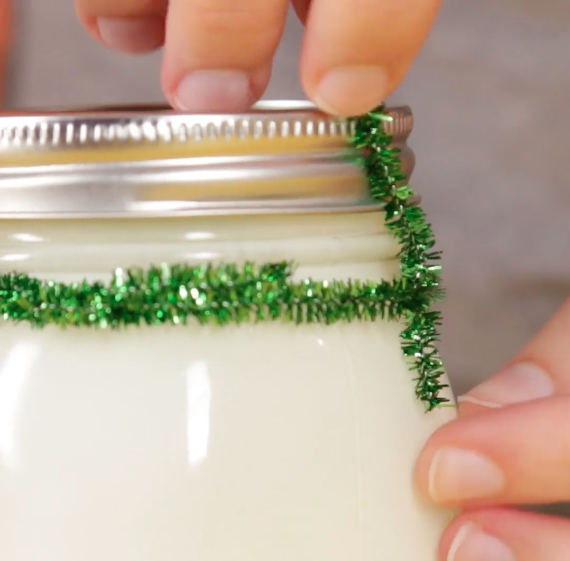 Squirt some paint into your mason jar, and roll your jar around so it covers the entire inside of the jar's surface. 2. Hold the jar upside down over a paper towel to drain any excess paint. Leave the lid off, and let dry. 3. 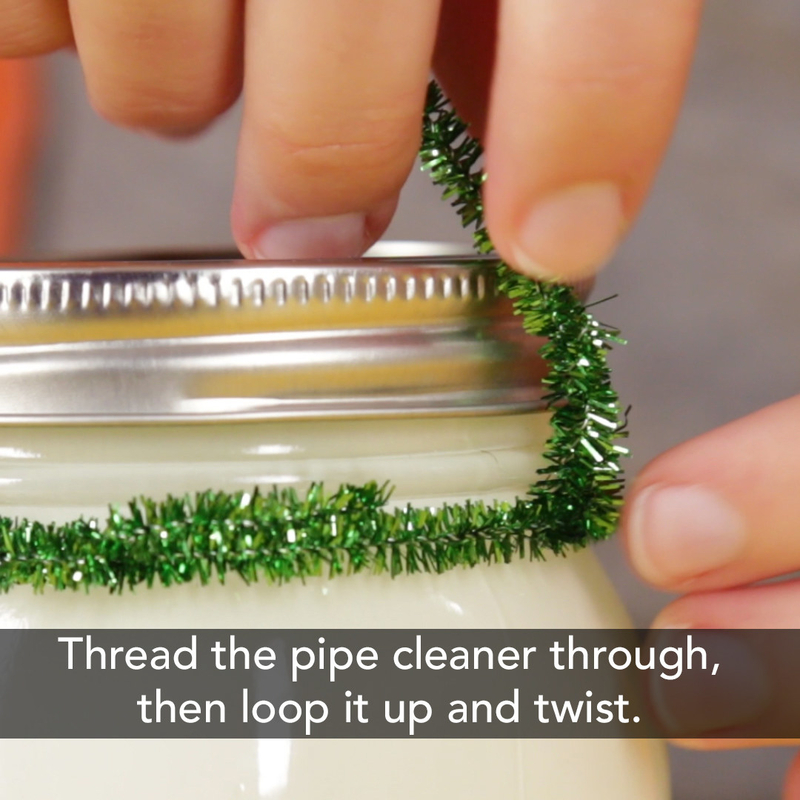 Make the handle: Attach one pipe cleaner around the jar, beneath the lid. Then take a second pipe cleaner and thread it through the first, perpendicular to the first. Loop the second pipe cleaner up, so it twists around itself about 1/4", and do the same on the other side. 4. Charge in the sunlight! Note: If you have trouble getting the paint to move around to every surface, gently squirt some paint directly from the bottle down the sides of the jar, rotating the jar as you go. 3. Pretend to be ~mad scientists~ and concoct a batch of glowing slime. 1. 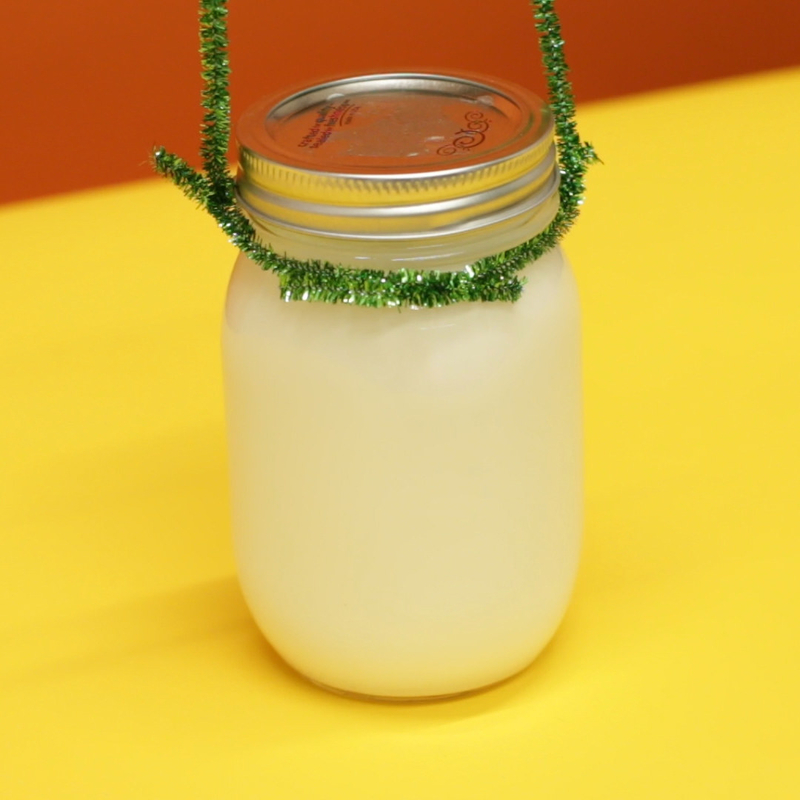 In a small bowl, stir together 1/2c warm water and borax, so the borax is completely dissolved. Set aside. 2. Pour glue and 1c of water into a large bowl, add a few drops of food coloring, and mix well. 3. 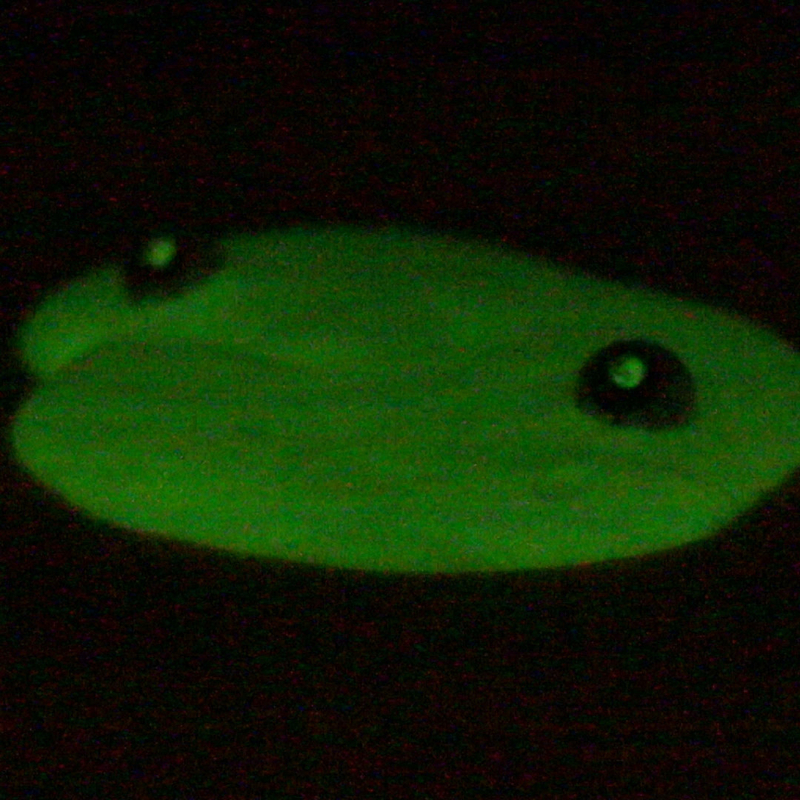 Add glow-in-the-dark paint, and mix again. 4. Pour in the borax mixture and mix first with your spoon or paint stirrer, and as it gets ~slimier~, with your hands. 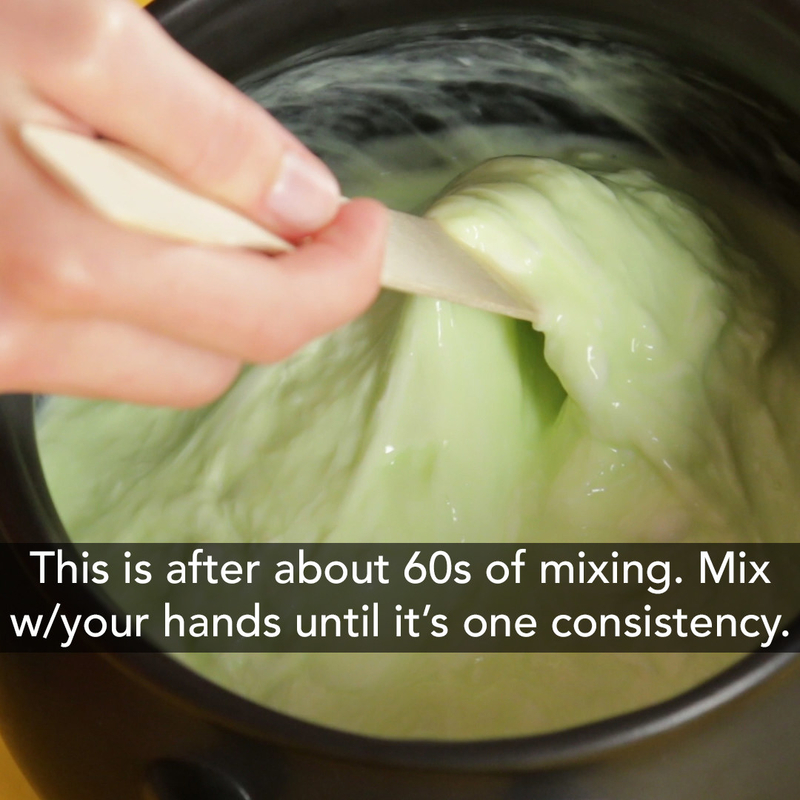 Even after it's sorta slimier, keep mixing it with your hands. It can take a few minutes, but you want it to be one consistency. 5. Charge in the sunlight, exposing as much of the slime's surface area to the sun as possible (only the exposed part will glow later). Store in a plastic ziplock bag in the fridge. Inspired by A Pumpkin and A Princess. 4. 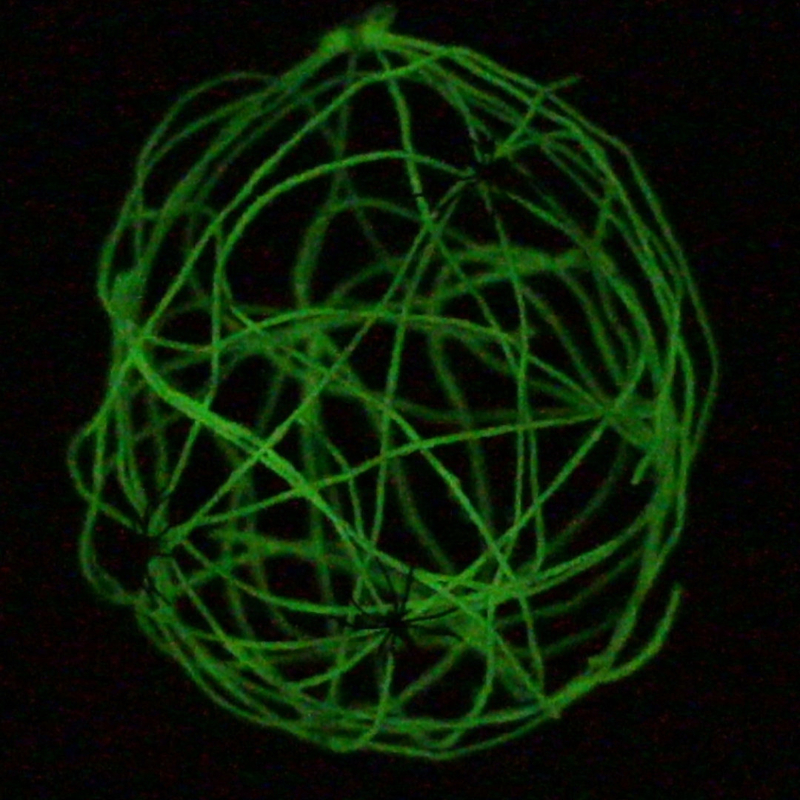 Get your fingers goopy when you make a creepy crawly glowing spider's nest. 1. Blow up a balloon so it's about half- or three-quarters-full. Tape the tied end of your balloon to the table, if it's getting away from you! 2. Mix the school glue and the glow-in-the-dark paint in the disposable bowl. 3. Put a length of yarn into your bowl of glue and paint. Pull it out, and lightly pinch the yarn between two fingers, and run your fingers down the length of the yarn to get rid of excess glue. 4. 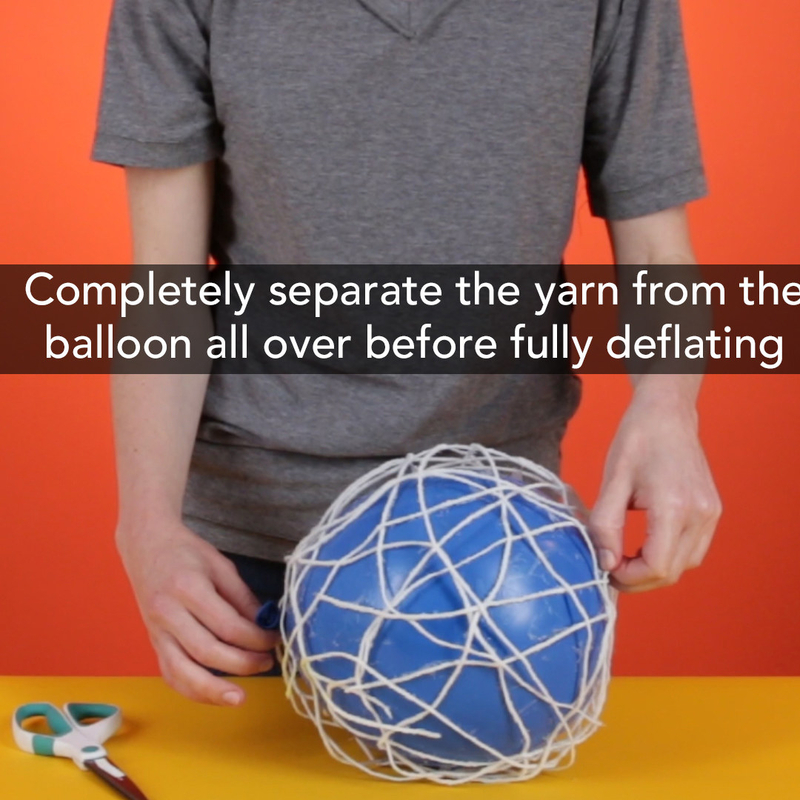 Wrap the yarn around your balloon so it sticks. Repeat steps 3 and 4 until you have yarn criss-crossed every which way around your balloon. More is more! 6. Don't pop the balloon! Instead, press down on the balloon and run your fingers between the yarn and the balloon to help separate the two. Do this all around the balloon. 7. Still, don't pop the balloon! 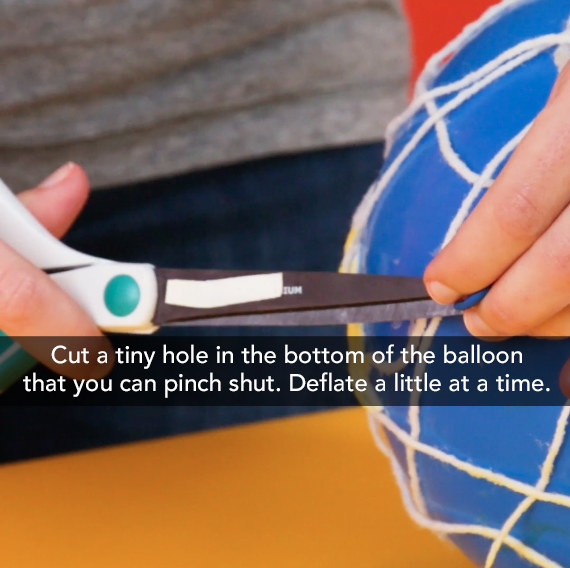 Use your scissors to make a small cut at the tied end of the balloon that you can pinch shut. Slowly deflate the balloon, pinching it shut so you can better separate the yarn from the balloon (otherwise, your spiderweb might collapse). 8. Remove any excess glue on your spider web. 9. 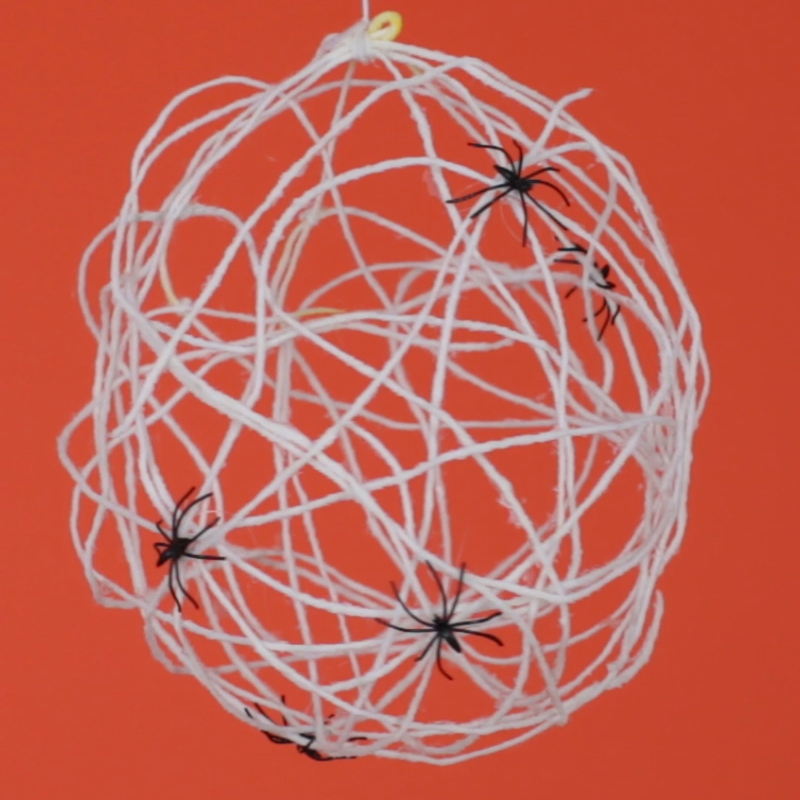 Hot glue plastic spiders onto the strongest intersections of the web. Tie a loop of yarn to the "top" of your web, to hang. 10. Hang, charge in the sunlight, and enjoy! 5. 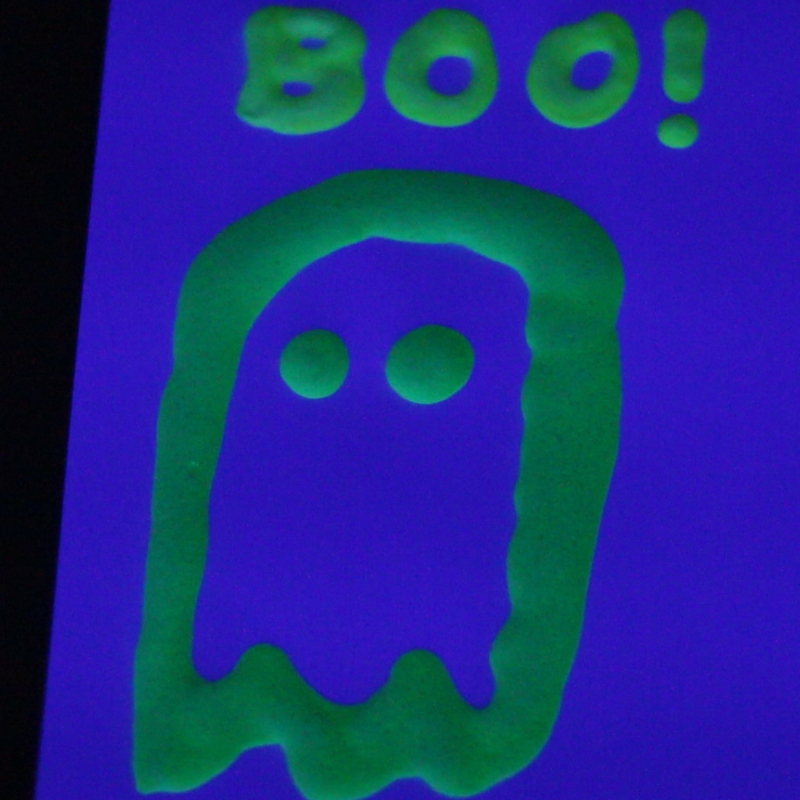 Mix highlighter ink into bubble solution, then flip on the blacklight for glowing, colorful bubbles. 1. Use a pair of pliers to pull the bottom ends off the highlighters, then carefully remove the ink sponge that's inside. 2. Wearing your gloves, squeeze the ink in the two sponges into the bubble solution. Get as much out as you can by twisting the sponge and turning it upside down and squeezing that direction, instead. 3. 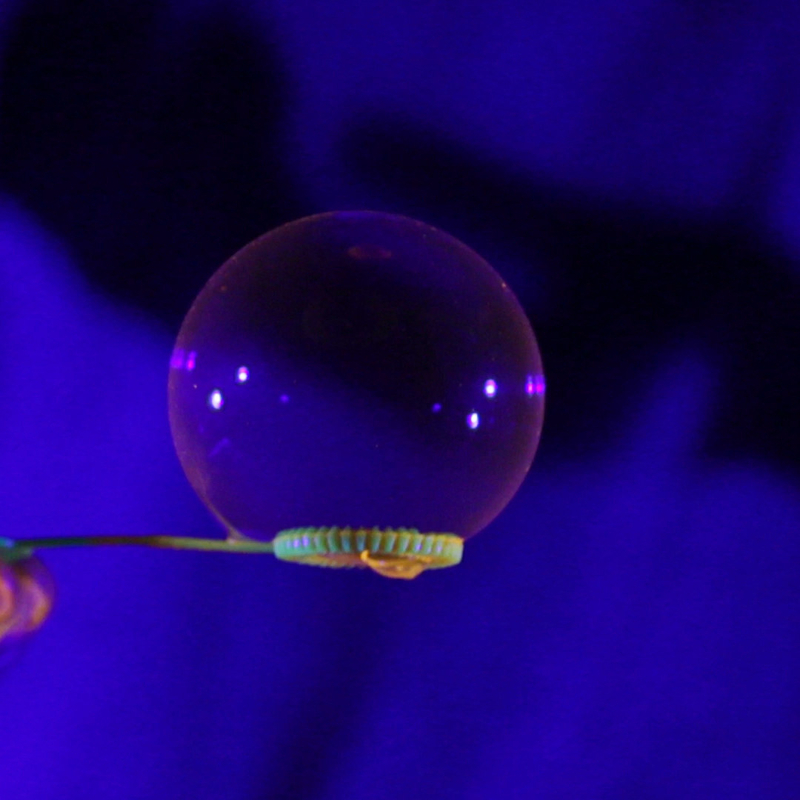 Stir the ink into the bubble solution with the bubble wand. (This will turn the whole mixture orange, pink, or yellow). 4. Turn on the blacklight and have a blast! Note: When these bubbles pop, they leave little splatters of highlighter ink behind. So play with these somewhere you don't mind getting a little messy, and wear something that can get stained! Have a blast watching everything glow!